Some say that the Patient Protection and Affordable Health Care Act ( aka Obamacare) will provide the final nail in an already sluggish national economy, cost millions of jobs and further entrench every American into greater government dependence. Others say the new law is a landmark piece of legislation that will literally save thousands of lives by making health care more affordable and accessible to all Americans. Given the hyper-inflated and strictly partisan rhetoric, it’s hard to know the answer and history will be left to judge the law’s merits and flaws. 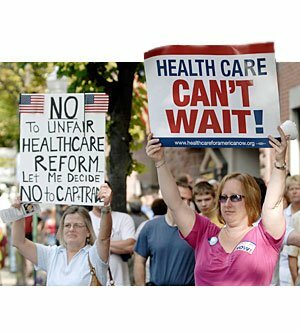 Supporters of the ACA enjoy pointing to the federal Medicare program as a primary defense of the new health care law. This, in my opinion, is a dangerous proposition for several reasons. 1.) Medicare applies almost equally to all Americans, unlike the ACA, which primarily targets those Americans who do not have (by choice or income restraint) access to health insurance in the private marketplace. In fairness to the ACA, however, it’s important to note that the new law does offer universal protection to all Americans from rather abhorrent practices that were all too common in the health insurance industry, especially rescission clauses, coverage limitations and denial for pre-existing conditions. The insurance industry argues those practices were necessary to stabilize costs, yet it remains difficult to assess how those savings were passed onto consumers. Thus, one of the more popular components of the new law requires insurance companies to direct a minimum 80 percent of premium revenue toward actual health care costs. 2.) Unlike the ACA, Medicare is not a mandate and you are not fined or otherwise penalized for choosing not to participate as a consumer in Medicare. Both programs, however, are supported by federal tax dollars. Supporters of the ACA argue that mandated participation is the only way to ensure an affordable marketplace. They also say that mandating purchase of health care coverage is no different from a state government mandating required liability insurance coverage on registered motor vehicles. Comparing mandated auto liability insurance and requirements to purchase health insurance from the private sector is a seriously flawed rationalization that does not hold up under its own weight. This is a matter of definition and it is outlined in law (both federal and state). In the state of Maine, you are required by law to have liability auto insurance to drive a vehicle, as pointed out by Senator Angus King during his defense of the ACA on the senate floor earlier this week. Senator King, formerly the governor of Maine, should know that both the Maine Department of Motor Vehicles and the Maine Legislature define driving as a privilege, not a right. Maine’s law requiring auto liability insurance makes a lot of sense. It acknowledges and reinforces our shared responsibility to be accountable if we cause damage while driving, but it does not interfere with our rights to make choices, to exist as free people. We have the choice not to drive, whether we like to admit or not. Each of us has the option of walking, biking or using public or private transportation to get to and from wherever we want to go. The ACA, however, requires, under penalty of law, every American to have basic health insurance. There is no choice. Either you have health insurance or the government is going to levy a fine upon you. Period. Enter Chief Justice John Robert of the U.S. Supreme Court, a Bush-appointee who is considered a conservative. During a challenge to the ACA, Roberts tipped the scales of justice by opining that the ACA is a tax, and thus; the new law does not violate the Constitution because the power to levy taxes rests with the Congress and can be applied to all citizens. ACA supporters, including President Obama cheered Roberts’ decision and validation of the new law. Strangely, those cheering previously argued that the new law is not a tax. But none of us should be surprised by the process of politics. While participation in Medicare is voluntary, it should be noted that this federally subsidized form of health care is universally popular among both Republicans and Democrats. 3.) On a final note, Medicare was a bipartisan piece of legislation. The ACA was not. In fact, the ACA was passed via a straight party line vote only a few months before the Democrat Party was about to lose its majority in the U.S. House of Representatives. In the Senate, all eyes turned to the razor-thin party lines and the election of Republican Scott Brown of Massachusetts who would stunt a filibuster-proof majority. The Senate version of the bill was approved in the U.S. House by a 219-212 vote on March 21, 2010 (Again, not one Republican voted in favor and they were joined by 34 Democrats in opposition. President Obama signed the bill on March 25, 2010. Comparatively, there was a lot less drama regarding passage of Medicare in 1965. Of course, this happened before the internet. In fact, Medicare was the result of much more compromise and its passage showed bi-partisan support. In the Senate, 57 Democrats and 13 Republicans voted for passage of Medicare; seven Democrats and 17 Republicans voted against it. In the House, 237 Democrats were joined by 70 Republicans in support of Medicare; 48 Democrats joined 68 Republicans in voting against it. The law was signed by President Lyndon Johnson on July 30, 1965. Those who would say modern-day partisanship is to blame for the party line vote on the ACA, should be reminded that Democrats and Republicans have been able to hash out bipartisan compromises regarding updates and amendments to Medicare as recently as this year. Of course, this dynamic gives credence to Rep. Nancy Pelosi’s statement that the ACA can be “tweaked” as it moves forward. Next: The financial implications and benefits. I enjoyed your rundown of the historical facts on Medicare, but I actually haven’t heard or read of any supporter of the PPACA suggesting the two laws were alike, or even similar. If anything, supporters compare the two as a way of showing the clear superiority of Medicare, a single-payer system, over Obamacare, which isn’t. The bipartisan appearance of the vote tallies on Medicare don’t tell the whole story. I was alive then, and we discussed it in detail at school. In media and public opinion at that time, there was about the same amount of trepidation, fear and confusion about what effects Medicare would or wouldn’t have as there are now over the PPACA. All that opposition changed gradually, simply because Medicare mostly worked. The thing Obamacare and Medicare have most in common is that the current law will need amendments and changes, just as Medicare has needed updates and re-examination over time. No law that big starts out perfect, including the Constitution. Really appreciate the feedback! Good stuff!